If you are trying to conceive, there are certain things that you can do to help optimize fertility. There are natural ways that you can try to help increase your chances of getting pregnant. One of them is by knowing when you are most fertile. According to some doctors, one of the biggest mistakes that women make is not knowing the days when they are most fertile. It is always wise, of course, to consult your doctor so that you’ll be properly advised on what to do. You should also make sure that you stay healthy. Being underweight or overweight can delay the time it takes for one to get pregnant. Proper weight management such as watching your food intake and lessening your consumption of coffee, alcohol and soda will be key. If you can’t eliminate coffee in your daily diet it is best if you just moderate your consumption which means if you normally drink more than 4 cups of coffee a day, a cup or two would be preferable. I conceived both of my children naturally but with a big age gap of 11 years. We struggled to get pregnant right after we had our first daughter in 2006. We thought somehow it would be easier to conceive again. We tried different natural avenues and opted not to do medical procedures. We waited year after year and kept getting false results. We stopped trying, then all of a sudden we got pregnant last year. I gave birth to a 9.0lb baby girl four months ago. 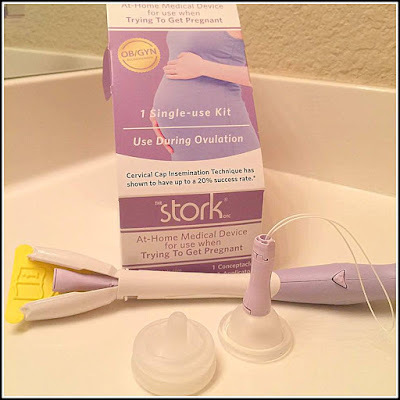 I wish we have known about Stork OTC when we were trying to conceive years ago. I believe it could have helped us in our journey and we could have brought her into our little family sooner. Our family of three is now four! The Stork OTC Home Conception Device is a highly innovative device that you can use at home that can allow you to increase your chances of becoming pregnant. The Stork OTC is a FDA-cleared device that uses cervical cap insemination. It is a technique that enables the sperm to quickly bypass the vaginal tract and places the sperm as close as possible to the opening of the cervix. It is said that up to 20% of women who use this technique get pregnant. This device is something that you can consider if you’re looking to increase your chances of conceiving. Who might be interested in Stork OTC? - Those who have struggled with Infertility, but don’t want medical interventions. - Those who have been diagnosed with low sperm count. - Those with sperm immobility. - Those with unfavorable vaginal environments. - Those who want to maximize the amount of sperm that gets to their cervix during their ovulatory cycle. - Those that want to try something else before starting more aggressive fertility treatments. - Those that want to avoid more aggressive fertility treatments due to spiritual beliefs. 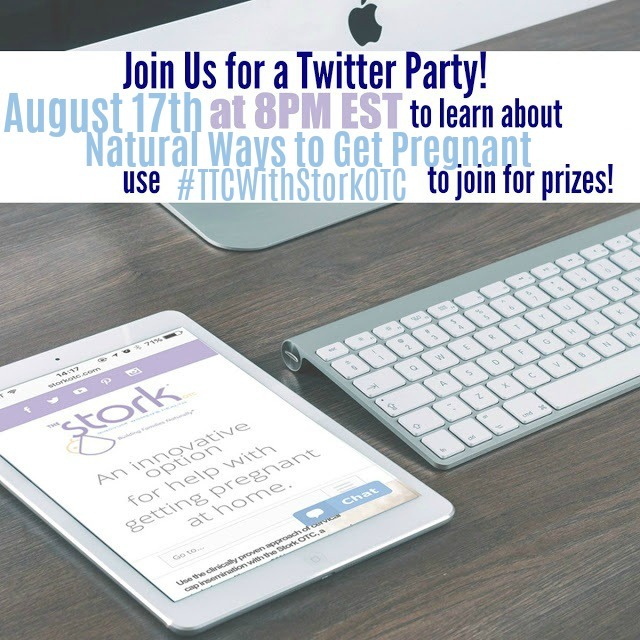 Also, please don’t forget to mark your calendar and join us for a Stork OTC Twitter Party on August 17th at 8PM EST for awesome prizes! Use the hashtag #TTCwithStorkOTC. Disclosure: This is a sponsored conversation from Mums the Word Network and The Stork OTC. All opinions are my own. I've heard a lot about Stork products. I think it's so great that couples today have so many resources to help them with conception. Yes, yes! These kind of new we DO need. I have heard of the Stork device before and had a friend that used it. She just had a beautiful baby girl. I wish it had been around when we were trying to conceive. I am well past the age of trying to get pregnant but I am happy there are products like this available for those couples who are still trying. It can be such a heart-breaking experience for those who have trouble conceiving. We had difficulties conceiving and I think we could have greatly benefited from a device like this. It's great to see improved options available for those struggling with infertility. This sounds like a great device. I know a few women who desperately want a baby and could benefit from something like this. I will pass this info along to them. I'm glad there are things like this to help! It sound so wonderful. I will let my friends who are trying to have kids know about this. I had no idea this existed! While my child bearing years are now behind me, I love the idea of finding safe a natural ways to promote fertility. I too struggled to get pregnant with my fourth child. We ended up doing an IUI but this product would have been better. It is so wonderful that couples these days, or anyone wanting to become pregnant have Stork as an option. I have heard a lot of positive things about Stork. It is nice to have an at home solution to try before heading to the doctor. It's good to know there is a product like this out there for people who need help but don't want to go for medical intervention. My friend has been trying to get pregnant for a while now. I will have to ask her if she has heard of The Stork OTC Home Conception Device. I used an OPK with my first. With my second I charted my basal body temperature. My third was a surprise! This is so interesting! I've never heard of something like this. My boyfriend and I aren't married yet, but once we are and are ready to start a family, I hope we won't have problems conceiving! I haven't heard of this before!!! But it sounds like a good thing to try if having difficulty conceiving and you don't want to take the step to other methods like IVF just yet! I remember back when I found out I was pregnant, a close friend of ours had been trying for awhile and was unsuccessful. I was thrilled for our bundle of joy, but felt so horrible knowing we got pregnant so fast in comparison (ours wasn't intentional while they had been trying for years) Luckily they finally got pregnant 2 months after me, so we had our boys close together. It's so amazing they have products like this now to try to increase your chances! I support whatever natural helpful ways there are! I haven't heard of this one - new to me! I'm not TTC but I have friends who are. I will definitely pass this post off to them!! I am way past this stage, but I do have friends who are struggling to get pregnant. Maybe this could help. I will share this with them. I've heard of all of Storks products. I am thrilled there is a company who made such a useful and thoughtful product. I've heard a lot of good things about this and I know someone who totally need this!! This sounds like a great solution for people that are struggling to get pregnant. I will share this post with a friend who is currently trying to conceive. Congrats on your daughter. I am glad you were able to conceive without medical intervention. Didn't know devices like this existed. Glad to know that you can help your friends increase their chances with pregnancy. Wow, this is great to know. I'd never heard of it. 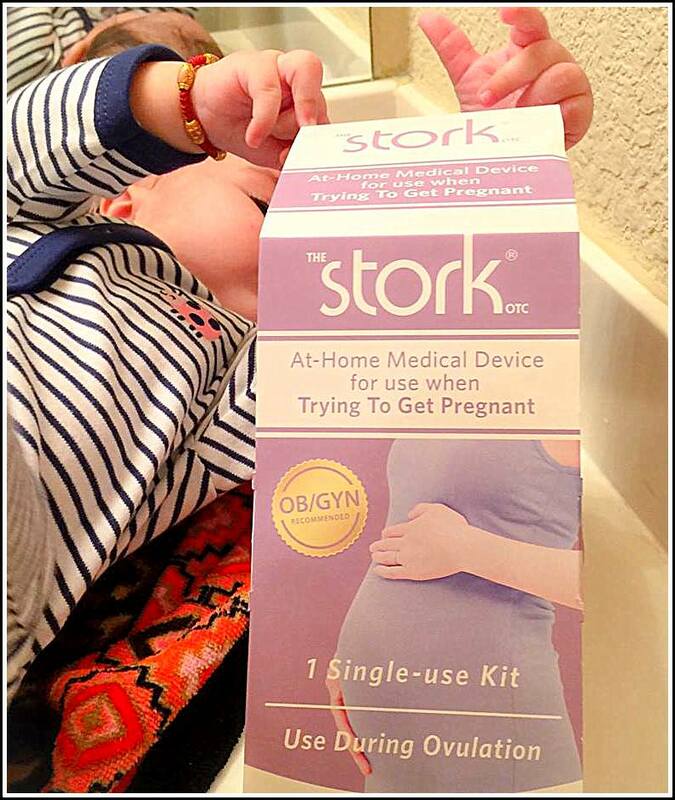 The OTC Stork sounds like a great way to try and get pregnant. I have friends who struggle with infertility. It is so heartbreaking. This sounds amazing!! It gives hope to those who wants to get pregnant. I am glad that this is available for all of those who need a little help conceiving. Everyone should be able to have a baby who wants one. My friend used this and guess what?! She has a new little boy!! It definitely WORKS!! Definitely keeping this in mind because it's almost about that time!! haha. thanks for sharing! I have a friend who's been trying to conceive for years now. I think this is their 7th year of trying. I will have to tell her about this. It's wonderful there are so many options to help families grow. I hadn't heard of this OTC product before, but love that it's available. Sometimes you don't need to jump right into medical procedures. I've never heard of this but I'm really glad that there are such great natural tools and options for those trying to get pregnant. I never had much trouble with conceiving but I know that is not the case for many. Glad this is around for them. I have never heard of this product but it is a great product for those in need of it. I can't wait to give Stork a try. I am hoping to get pregnant. This sounds like it could really help those trying to conceive. Stork is the main brand that I would go to if we decide to have another baby. It's such a great way to try it naturally first. This sounds promising. Will definitely recommend this to my friends. Thanks for sharing!